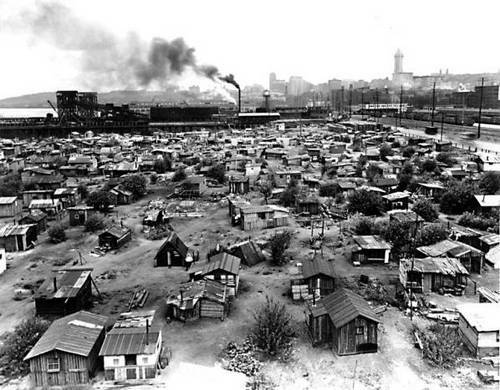 The crisis became worse and living conditions diminished on daily basis. Unemployed parents were having trouble feeding of their children. Not wanting to be a burden, teenagers left home and jumped on trains. So the term “riding the rails” was developed. 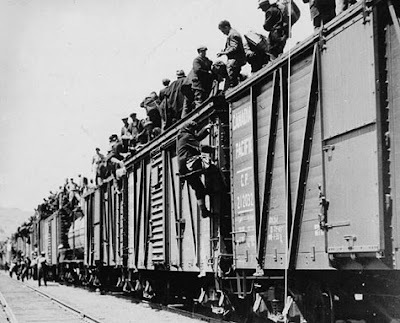 Since many people could not afford tickets for trains, they would simply try to hop on board. Jumping was illegal and sheer speed of the train made it very hazardous. Guards called Bulls would literally throw people off the train and were even allowed to shoot illegal riders if they did not get off. Some estimates show over 24,640 people were killed trying to jump on trains. 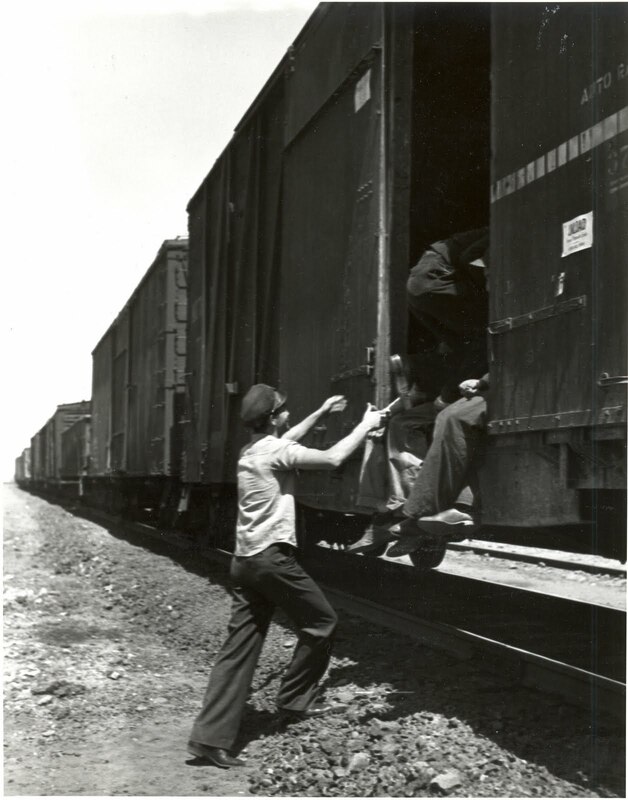 Although it was dangerous, people were desperate to travel to find jobs and better lives. Read more about the shame of poverty and unemployment in the Great Depression…You can also watch a short documentary on Youtube of the ordinary people stories during the crisis, the first part covering the circumstances of the Great Depression and the second part showing the hardship and the American culture of the period.